If there’s anyone out there who’s actually reading this on a daily basis, you might be wondering, “Wait, what happened to Day 5?” Well, I did eat only vegan foods on Day 5 but I didn’t have time to cook anything or write about it, as my dog went in for unexpected surgery. 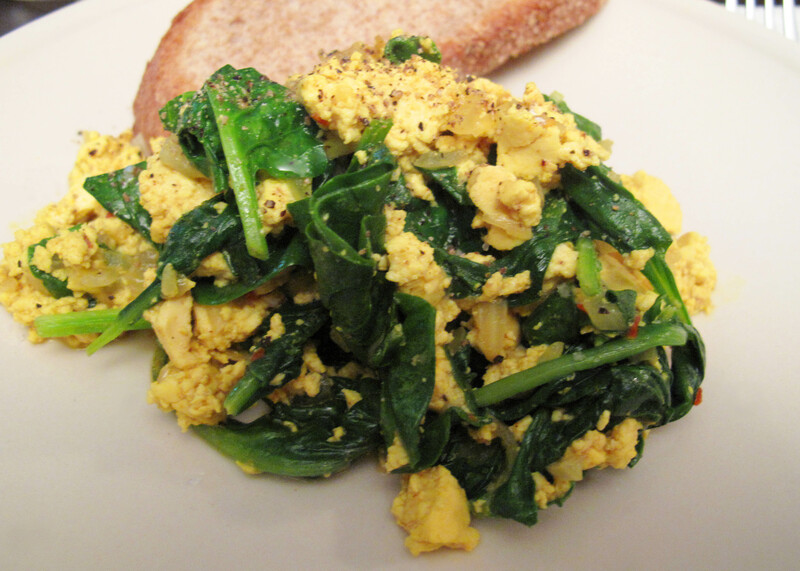 A few weeks ago, we went to a restaurant in my neighborhood that I love, Flatbush Farm , where I had a curried tofu scramble with sauteed kale for brunch that I dreamed about for the next few days. So I went looking for a recipe that sounded similar. There are several out there, and I decided to try this one. I didn’t have fennel seeds but I think that’s ok. It was really good, especially on top of a slice of whole wheat toast. The Flatbush Farm version had some kind of delicious sweetness to it though, so next time I’ll try adding honey (not vegan) or sugar or agave. Just a note – it is very spicy, so you should reduce the chili pepper flakes if that’s an issue. We had planned to meet up with friends on the Upper East Side for dinner. At first, without thinking too much about it, we decided on an Italian restaurant, and I thought I could just find some sort of veggie pasta and ask them to hold the cheese. About three hours before dinner, the chef side of my brain woke up and I realized that I’ve made my own pasta before and there is usually egg involved. A quick call to the restaurant (which really made me appreciate what full-time vegans must go through all the time) confirmed that there was egg in all of their pasta dough. So it was either survive on a side salad for dinner or come up with plan B. Thankfully everyone was nice about changing plans at the last minute to accommodate my crazy food challenges, so we ended up at Tiny Thai. 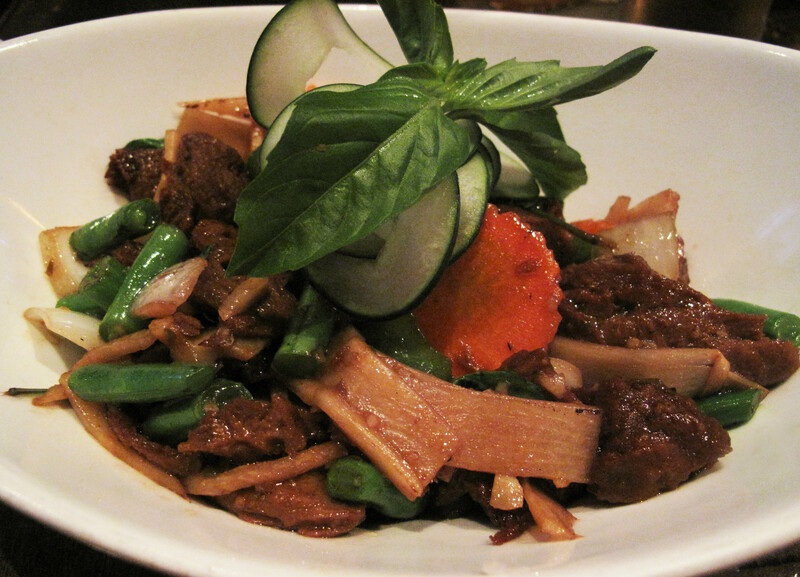 I felt adventurous and went for the “Vegetarian Duck” in chili basil sauce. I figured it wasn’t something I was going to make at home, so I should try it. Delicious! Of course it didn’t have the same consistency as duck, but if you’re prepared for that and like seitan, it’s really good. (But I have to admit I did want a bite of Chris’s red snapper). 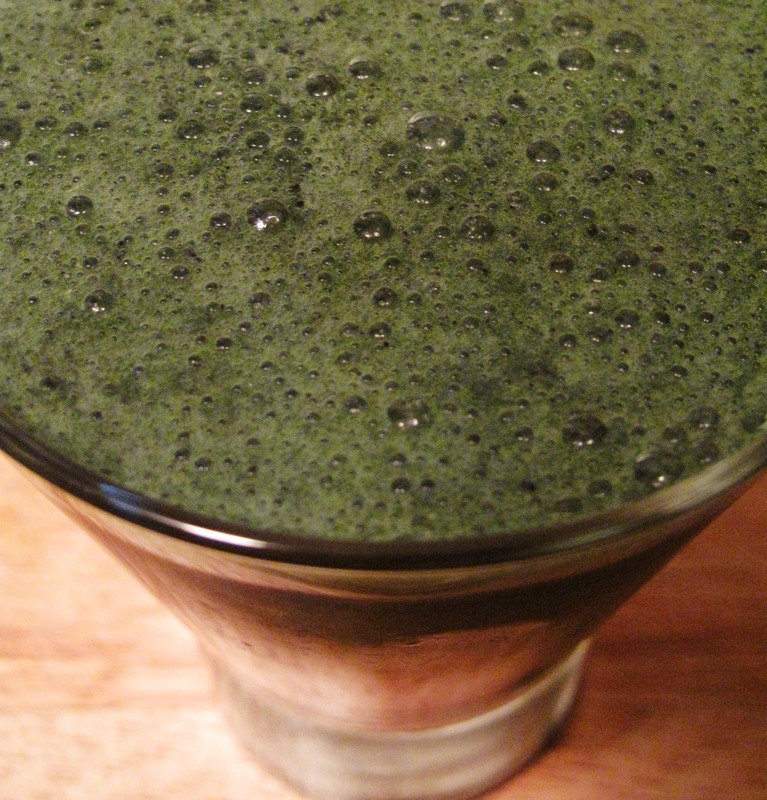 This entry was posted in Cooking adventures, Dining out, Vegan and tagged breakfast, vegan, vegetarian. Bookmark the permalink.